This event's performance date has changed (the old date was Wednesday, 28 Aug 2019 at 7:30 PM). The show will now take place on Wednesday, 21 Aug 2019 at 7:30 PM. 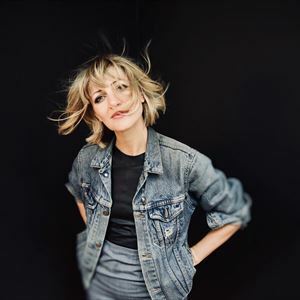 Anaïs Mitchell is a Vermont and Brooklyn-based singer-songwriter who comes from the world of narrative folksong, poetry and balladry. Among her recorded works are 'Child Ballads' with Jefferson Hamer, 'Young Man in America', and 'Hadestown', the latter of which she expanded into a musical. 'Hadestown' opened at London’s National Theatre in November 2018 before transferring to Broadway where it will open in April 2019. Mitchell has headlined shows around the world, and opened tours with Bon Iver, Josh Ritter, Punch Brothers and Patty Griffin. She is the recipient of a BBC Radio Two Folk Award, and the Folk Alliance International Spirit of Folk Award. If there's a common thread in Mitchell's work it's that she's as interested in the world around her as the one inside her.